What if I told you I have absolutely no idea how much I weigh? In fact, I haven’t weighed myself in years! It wasn’t always this way. In high school, I was a member of the school’s wrestling team. During wrestling season, not only was I acutely aware of my weight to the fraction of a kilogram, but so was my entire team. On top of that, I was responsible for maintaining or manipulating my weight in preparation for tournaments, so I could be at my “most competitive”. Even after I peeled off the skin-tight spandex suit from my body and hung up my wrestling shoes for the last time, I still fussed and obsessed over my weight for some time. I would weigh myself daily, chart my weight on a calendar, and allow my weight to dictate my feelings about my body. At some point, I decided I was unhappy with the number I saw on the scale and started a cycle of dieting. I formed disordered eating habits. I tied my confidence, my success in life, and even my self-worth to my ability to stay within a certain number range on a scale. 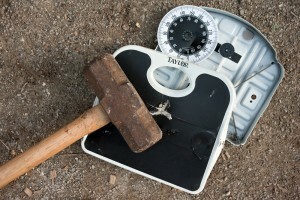 In short, I was in an unhealthy relationship with my scale. I have since stopped weighing myself. I got rid of my scale and went through a gruelling withdrawal process of weighing myself constantly. But I recovered, and I have no desire to go back to that place of “weight anxiety”. And, here’s the coolest part, I can still be perfectly healthy without knowing my weight! One of my first concerns when I decided to stop weighing myself is that without that constant reminder, I would make unhealthy choices. But there are so many other indicators of health that I now turn to. Health can be measured in so many ways other other than the number on a scale. For example I ask myself: How do I feel? How are my energy levels, my sleep schedule, my mental health? Am I ill? Am I drinking enough water? Am I happy? Am I in balance? Am I engaged in my relationships and are they healthy ones? Do I go to the gym because I feel my best when I’m working out, or because I’m fixated on achieving a magic number on the scale? Now, I focus on answering these questions, rather than looking at my health as exclusively tied to as x number of pounds. Holidays like Halloween used to be extremely anxiety-ridden for me because I was nervous about breaking my healthy eating habits and losing control of my body. 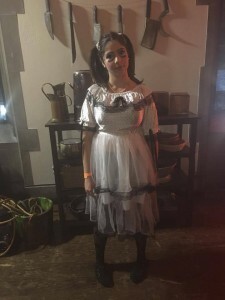 I dressed up as a doll this Halloween! Is this making sense? Still not buying it? Do you need to know the exact number of calories in a deep-fried Mars bar to know that eating an apple is a healthier option? Do you need to know the exact degree of the temperature to know that in January it isn’t wise to leave your home without a jacket in Toronto? Do you need to know how much I weigh to know anything about me? Something I came to realize over time: no one cares how much I weigh! And I certainly won’t let a number dictate my health, my confidence, or my lifestyle choices anymore! 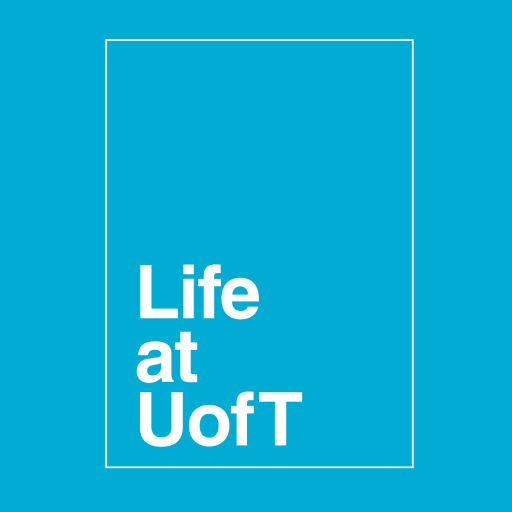 If you are also interested in breaking habits of weight obsession and disordered eating, one of the things that really helped me was attending Food and Mood workshops offered through the Health & Wellness Centre here at UofT. Have a wonderful, healthful week!